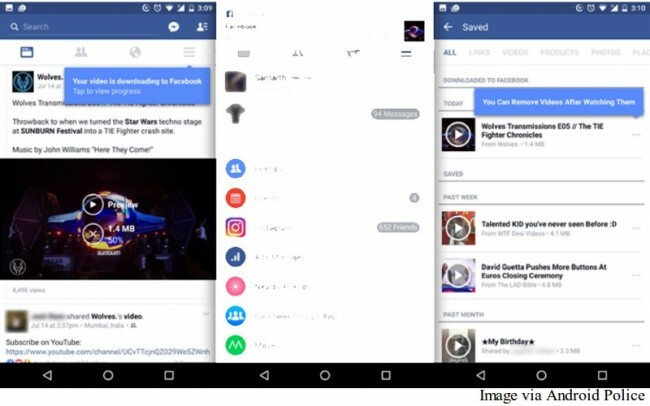 The latest versions of Facebook’s Android app now allow users to save videos for offline viewing. The video is saved inside the app in the Saved section, and is not accessible independently to users. Facebook for Android is showing a ‘Save video’ option in the dropdown menu of a Facebook video post. The videos can be saved and viewed offline for as many times as the user desires and can also be deleted as per his/her wish. The company might not be willing to provide the video file independently to its users in order to encourage sharing over its own social media networking site, however, it is anybody’s guess what the actual reason behind this decision is. It seems in line with what company’s like Google have been doing with YouTube in developing nations like India, where a save for offline viewing option is present to combat mobile data woes. As per an Android Police report, the option to save videos is currently showing up in versions 85 and 86 (beta) of the Facebook for Android app. Earlier this month, Facebook said that it will start testing offline videos with a “small group of people” from July 11 in an email that was sent to page administrators for select media partners. The email said that the test was supposed to be conducted in India, one of the markets where connectivity is a real issue, and also that publishers will have the ability to opt out of this trial.